This service is provided to allow easy access and a visual display of County information. Every reasonable effort has been made to ensure the accuracy of the maps and data provided, but accuracy is not guaranteed. Maps and associated data are provided without warranty of any kind, either expressed or implied. 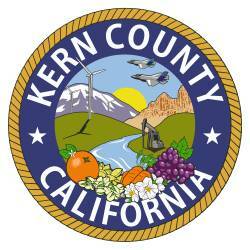 The County of Kern assumes no responsibility arising from the use of this information. Note: Enter first 8 digits of APN with no dashes. Parcel Maps are in TIF image format. An image viewer app must be installed on your computer in order to view them (most computers do by default). Note: This service is provided by ParcelQuest, a third party, and is not owned or operated by the Kern County Assessor's Office. More information about ParcelQuest. Parcel Maps are public documents and are updated monthly. Please read our disclaimer, then click the link next to the statement below indicating that you have read the disclaimer and agree to its terms. To protect your privacy, we do not display party name information in the results of any searches you perform via this web site. California Government Code § 6254.21 prohibits the display of home addresses or telephone numbers of any elected or appointed official on the Internet by any state or local agency without first obtaining the written permission of that individual. To comply with the statute, property searches are allowed by parcel identification numbers and address. Searches by name are not available and the search results will not include owner name. We are sorry for any inconvenience this may cause. Note: The Parcel Map Search and Recent Sales Search services are provided by a third party and is not maintained or warranted by the County of Kern. The maps available through this search were prepared for Assessment purposes only and do not indicate either parcel legality or a valid building site. No liability is assumed for the accuracy of the data provided. The acreages are based on the information supplied to the Assessor (i.e. recorded survey maps, recorded deeds, prior assessment maps, etc.) Assessor's parcels do not necessarily constitute legal lots. To verify legal parcel status, check with the appropriate city or county community development of planning division. The County of Kern assumes no responsibility arising from use of this information. The Maps, Recent Sales, and Associated Data Are Provided Without Warranty of Any Kind, either expressed or implied, including but not limited to, the implied warranties of merchantability and fitness for a particular purpose. I have read the disclaimer above and agree to the terms and conditions set forth above. I understand I am about to leave the Assessor's site. Important Notice: The staff of the Assessor-Recorder's Office are forbidden by California legal codes to practice law or provide legal advice; this prohibition includes giving advice about what forms you might need or how you should fill them out.